Tahitian Dueta Quintet | Zonyxa. Unique and contemporary jewellery for Work. Love. Play. This piece showcases two magnificent irregularly shaped Freshwater baroque pearls, flanked by contrasting beading of faceted black onyx and agate. The result is simply dramatic, a longer, stronger, piece you’d wear whenever the mood takes you. Simple, black, dramatic, elegant. 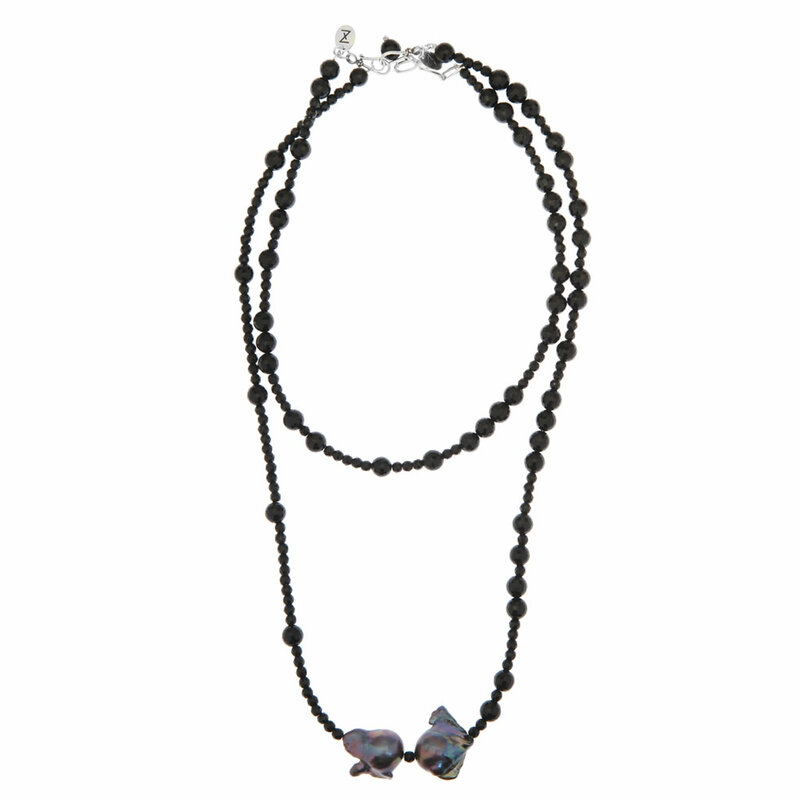 Created from onyx and agate, designed to work in tandem with the TAHITIAN DUETA GRANDE working as either a double strand or lengthened necklace. Or wear it independently as an easily adjustable bracelet. Materials: Freshwater baroque pearls, onyx and agate.